Soft yellow roses nestled in a blue teapot. A lucky find in the El Cerrito Natural Food Company florist shop! The roses have faded but the teapot survives in the artist’s kitchen. 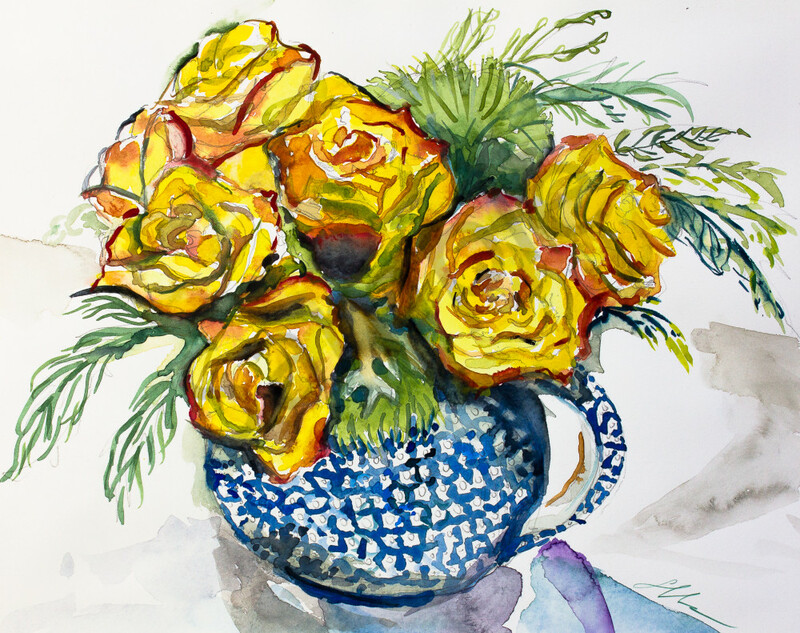 Soft yellow roses nestled in a blue teapot. Print of watercolor original.